Advance planning can create peace of mind and ease difficult times for your family. 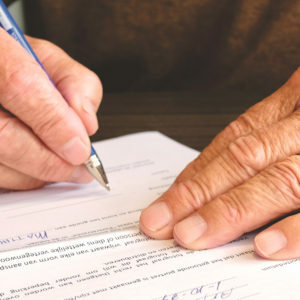 Many people do not have a will, because they think it is too complicated, or too expensive to obtain a will; others do not have a will because they are superstitious – believing that having a will somehow increases the likelihood that they will die. Most wills are not complicated or expensive to draw up, and they definitely do not change the likelihood that a person will die. Illness and death are not easy topics to discuss. Preparing for the future is a task that is often put off or ignored. However, advance planning can help insure that your intentions, interests and desires are met and that your family and loved ones are protected. Advance planning can assist your loved ones in knowing what your desires are for medical care and treatment. Planning will help insure that others are not left to guess or speculate as to what you might or might not want in terms of medical care. We will assist you in the preparation of your will, health care proxies, living will and power of attorney. Who will you put in charge of wrapping up your financial affairs after your death (your executor)? If they are not available or able to take care of things, who is your second choice(alternate executor)? If you have minor children, who will serve as their guardian if both parents are deceased? Do you have a second choice for guardian? Who will manage money for your minor children? At what age do you feel your children will be ready to manage their own money (most people choose age 25)? Do you have any specific personal property items you want to leave to someone in particular, or do you want to leave that up to your executor? Following the death of a family member or loved one certain legal steps must be taken to resolve the estate and insure that assets can be distributed. We can assist you in probating the will and resolving estate matters. When people marry for the second time, they may need to develop a shared plan for their estates that takes into consideration each party’s children from their first marriage. We offer a unique service — we work with couples in second marriages who need help fashioning and implementing an estate plan that takes into consideration each party’s desire to protect each other, any shared children and often their children from a previous marriage. We know that blended families are complicated, and special skills are needed to sensitively address each party’s concerns. We often work with another collaborative lawyer and/or estate lawyer if appropriate so that each party has whatever advice they need and the ultimate agreed upon plan is properly reflected in trust and estate documents.